Fletton Quays is part of a £120 million development in the heart of Peterborough. 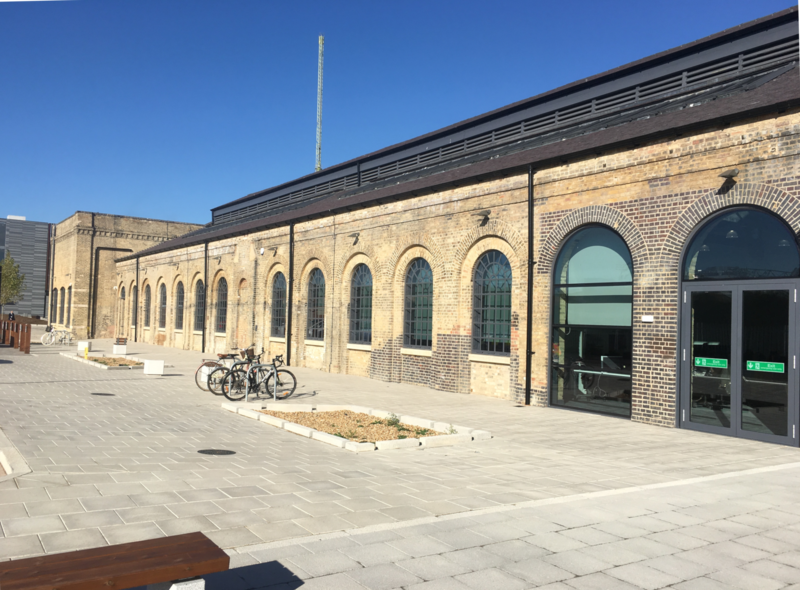 This ambitious council-backed venture was launched in 2017 as the initial project for the Peterborough Investment Partnership. The goal is to regenerate an area adjacent to the River Nene, creating an attractive space featuring apartments and restaurants, a hotel, a dedicated ecology area and a waterfront park. One of the most imaginative aspects of the project is the formation of an urban beach where people will be able to sunbathe and picnic in the summer. For Peterborough City Council, NPS Group have been working on a new headquarters, consisting of 90,000 square feet of office space. The acoustic design was entrusted to Adrian James Acoustics, based on our experience, flexibility and history of successful design. 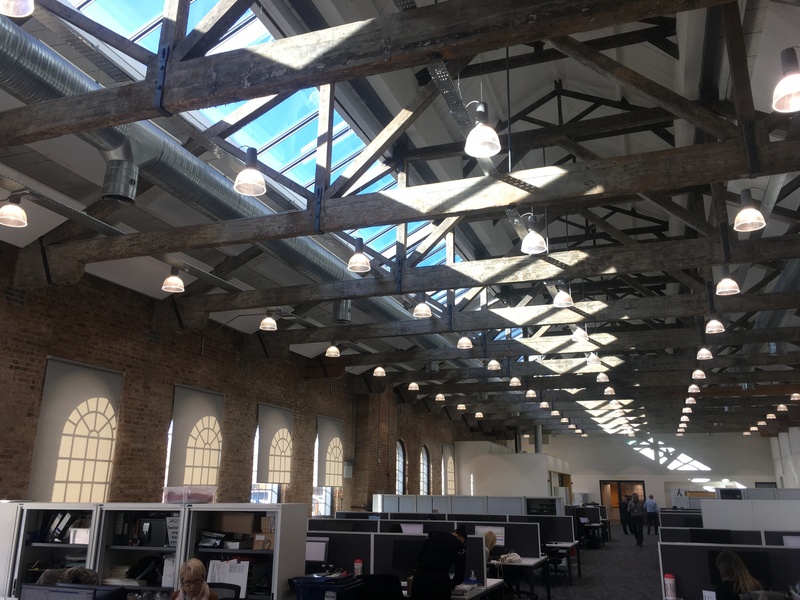 A key challenge we faced was to ensure excellent acoustic conditions within a large open plan office space, whilst being sensitive to the aesthetic requirements of a Grade 2 listed former engine shed. The room acoustic design has recently been completed by AJA consultants Andrew Oldridge and has received excellent feedback. Mat Tuora has also recently assessed noise breakout from plant rooms and the sound insulation performance of surrounding partitions. Once again, AJA is pleased to be part of such a significant urban development. This unusual office environment is one step in the regeneration of the site, helping to renew an area which had been derelict for 40 years. ← The Future of Recycling?